Quote Reply Topic: Adam's Calender Structure Myth Or Reality? The Johan Heine Stone Calendar (affectionately called Adam’s Calendar) has been dated by astronomer Bill Hollenbach to be around 75,000 years, based on the movement of the peoples in southern Africa and the emergence of rock art during that period. But it could in fact be even older – dating back to the dawn of Homo sapiens some 250,000 years ago. The carved edge can be clearly seen, resulting in a sharp edge to cast a clear shadow on the flat calendar rock. The wider monolith became the calendar on which days and weeks were marked as the movement of the sun stretched perfectly from one edge to the other, left to right, and than back again. Johan Heine is a pilot and explorer by heart. As the head of the fire fighting unit in the forests of Mpumalanga, South Africa, he has been flying over this beautiful mountainous part of the world and exploring it for 20 years. It would be accurate to say that he knows it like the back of his hand. But it was only when he was called out to assist in the search for a colleague who had crashed in the mountains, that he made a discovery that will change how we view our human history. At the edge of a mountain top, he spotted a strange arrangement of giant rocks. Upon his return and closer inspection, this stone calendar site has turned out to be the oldest known man-made site on Earth. Over a 4-year period Johan made many attempts to bring this to the attention of academics with no success. Only when his measurements and findings were presented by default their sudden interest was raised. Over the years many people have seen the ruins and wondered what they meant. The mystery has now been solved, thanks to the persistence and meticulous work by Johan Heine. Viewed from the helicopter, the badly eroded original circular structure can still be seen with the two main monoliths in the center. For 4 years Johan had been pondering, plotting and photographing his historic discovery. After many attempts to attract the interest from historians and archaeologists had failed, he never gave up his quest to measure the site and establish the ancient and original geographical alignments. Only when his measurements and findings were presented by default then sudden interest was raised. Over the years many people have seen the ruins and wondered what they meant. The mystery has now been solved, thanks to the persistence and meticulous work of Johan Heine. The oldest statue on Earth carved out by the architects of Adam’s Calendar some 75,000 years ago. It was removed from its original position in 1994 where it stood looking at the sunrise over the large monoliths. The Stone Man was removed from Adam’s Calendar in 1994 to be used as a plinth to celebrate the opening of the Blue Swallow Reserve. We are in contact with the Blue Swallow Foundation and our aim is to bring the Stone Man back to his home as a joint initiative. Johan placed a wooden pole in the place where the Stone Man was removed from to indicate the perfect alignment with the rising sun in the east. A close-up view of the Johan Heine Stone Calendar (Adam’s Calendar) on a summer’s day 2007. Looking at the tree growing at the north rock from the south marker rock. Notice the top of the rock closer to camera that broke off at some distant time – lying in the foreground next to its parent rock. Two carefully placed marker stones can be seen in the distance. These channel the setting sun on the calendar rock and indicate a clear movement of the shadows with every passing week of the year. Adam’s Calendar firmly places the many ancient ruins of southern Africa at a point in history that we modern humans have never faced before – some 75,000 ago. These circular ruins are spread over thousands of square kilometres. They can only truly be appreciated from the air, and those lucky enough to view these ruins from the air will be able to see hundreds of ruins in a one-hour trip. Many of them have almost completely eroded or have been covered by the movement of soil, while some have survived and still display the great sizes of the original walls that stand 2,5 metres high and over a metre wide in places. Prof Guy Charlesworth of Wits University concurs that if these were the original heights of some of the walls, it would have taken thousands of years to erode to knee-height through the effects of nature alone. An ancient road structure that is still visible for hundreds of kilometres once connected most or all of these ruins. It becomes evident that this was no accidental settlement but a well planned and evolved civilisation that were mining gold and had some means of transport. Extended agricultural terraces are spread over large areas, often resembling scenes from the Inca settlements in Peru. This would suggest that these people had a good knowledge of agriculture and planted produce extensively. Many of the circular structures are aligned to specific geographic points including solstices and equinoxes. But only when Johan Heine began to experiment with other possible encoded geometry, that the real hidden secrets of the ruins began to emerge. They are riddled with sacred geometry, Reiki symbolism and the Phi factor or golden ratio of 1,618. The discovery of the ancient stone calendar site by Johan Heine (Adam’s Calendar) in among all these stone dwellings and temples, would suggest that some of the structures would date back to the same era as the calendar some 75,000 years ago. It shows us with a certain level of clarity that these lost civilisations have been around for much longer than anyone could ever have imagined. It would not be absurd to then suggest that we may be staring at the very first concentrated human settlements inhabited by the early Homo sapiens. Does anyone find these discoveries as a hoax or authentic findings? Interesting images, some of these ruins resemble Great Zimbabwe in design. Indeed intereting but it raises a lot of questions. For example how can he date the structure to 75 000 years, standing stones can be rather hard to date if they are not connected to som datable material as carbon from a burial, ceramics or similar (and if it should be as old as 75 000 years old one can not use carbon 14 though, but there could maybe be other dating methods if one found something to date)? The aligments can be coincidental. There are a lot of examples where different monuments (as an example we can just take the cup marks [a sort of round, small inscriptions in rocks] or grave monuments with standing stones in Sweden that some private researchers often want to interpret as some kind of astronomical calenders, interpretations that seldom are supported by archaeologists). One can always take a random group of stones or building details and find that they are aligned to at least something, either other monuments or some celestial phenomena. The round structures which look little like Zimbabwes looks very interesting and a proper excavation and dating would be very valuable. Your right since the carbon half life does not span for more that 60,000 years. But every material has a half life, so I'm sure there could be some possible to date the rocks. I agree, trying to construct the positions of the giant stones to be relevant to astronomical signs is meaningless. But what it is puzziling is finding the gigantic boulders in a upright standing position in the middle of grassy plains. Is it common to find rocks position liked that, especially ones that were over 8ft tall. They rocks seem to be set up in a certain manner. And what to make of the conglomerate Stones encircling a certain area. There also does seems to be an impression of roads from the above. Its has to be a settlement of some sort. But what of the age of this sites, maybe it is 15,000 years old. The ancient Egyptians also to take a knack for the people in Southern Africa,particularly the Pygmies as Ptahs. They refered to them as Gods or were very sacred to them. Perhaps they built this. These structures are located in South Africa itself I believe, I doubt it is part of that the Shona empire like Great Zimbabwe. They are many prehistoric structures that cannot be explained, it is of course an anamoly for the structure to go that far back in time ,but also it is not impossible that it can be that old. What must be known is that the first humans roamed South Africa back when mankind was reduced to a population of 60,000. I am sure they might of been able to build something since humans, occupied this are a long time, they might of made their time useful. I doubt the Egyptians built these things, its not so plausible that they reached this far south. The pygmies they write about probably lived far north from South Africa. The monuments are more probably local. Maybe not Shona stuctures but still local structures. Maybe they predate structures like Mapungubwe who also is located in South Africa. To determine these structures context one has to properly investigate and date them though. I doubt the Egyptians built these things, its not so plausible that they reached this far south. The pygmies they write about probably lived far north from South Africa.The monuments are more probably local. Excuse me ,it was my error in mistyping, I meant to write that the Egyptians referred to Pygmies that lived farther South from Egypt as the Ptahs,and Egyptians did reguard the Ptahs as either being sacred or as Gods. The Egyptians never said how far south do the Ptahs extend to but could Egyptians have referred to the pygmies who probably built stone works before the Egyptians themselves. I agree but they are no oral traditions about these structures with the locals, perhaps they do probably come a little before Mapungbwe and go back to 1 milleneum BC. I'm sure some archeologist have a fit dating these sites preceding Paleolithic times. The head researcher in this projects talks about the dating for these structures in his videos, I'll check, and will probably get back with a better answer after I'm finished watching it. Maybe pygmies proper did not live as far south as South Africa. It is believed that those who lived in South Africa before the bantu migrations reached there where related to the khoisan peoples. About interesting structures of really high age, one can find something that has been interpreted as some form of snake cult in a cave in Botswana. There a natural stone formation in the cave has been worked with so that a pattern of scales cover it. Some of the scale covered formation is buried under sediment and that has made it dateable. So this early artwork is said to be more than 70 000 years old. The name of the cave is Rhino cave and it is located in the Tsodilo Hills in Botswana. I do not know what you refer to but if it is the cave in Tsodilo Hills it is preceeded by other sites where fully modern human behaviour (as making objects of art, elaborate stone making, the making of bone tools, personal adornment and similar) can be whitnessed. Such localities are for example Blombos cave and River Clasies Mouth caves. I know pygmies that the Ancient Egyptians probably referred to, lived in the Great Lakes Region. Coptic Egyptians have Y Haplogroup B which is found in certain pygmies thought to have a Khoisan origin called the Hadzabe(who also speak a Khosian tongue). They occupy the Great Lakes region coincidentally,is it possible that this group of ethnicity brought knowledge and tradition with them.It could be possible the Ancient Egyptians speak about the Pygmies of this region because they probably once had a high advance civilization themselves.. The Khoisan have traveled all through out the southern Africa during the Pleistocene Period or close to during the Ice Age. I am convinced with the references you gave that the San weren't as primitive as most contemporary scholars portray in their thesis. Beneath the python rock, scientists found a section of curved wall, which they believe may have collapsed during work on the "python." The researchers also discovered quartz flakes packed in some of the cave's crevices. And the team unearthed spearheads identical to those found at another site in Botswana, which had been dated to 77,000 years ago. I'm curious to know how the scientist were able to date the spearheads to 77,000 years ago and what method of dating did they use. The interesting thing about Blombos Cave is that all these cave works have stone working. The article does talk about a wall built, does this mean the the scholars confirm an attempt for building a stone structure. The interesting thing is that these sites go back around the same time for Tellingers Adam's Calender which is 75,000 - 70,000 years ago. These are the other settlements that were thought to be Cattle Kraal, be previous onlookers who visited these sites in this region. I'm taking a liking to the 3rd pic in which you can obviously see it is solid, robust, and is more well defined, it actually looks like a stone barrier. The main question still centred on when this natural snake shaped rock was enhanced by carving? Luckily (for us) a section of the carved wall broke off during the carving of the 'scales'. This was recovered well within the tightly packed deposit attributable to the Middle Stone Age - thus making the carved panel a minimum of 40 000 years old. However, there are indications of much older use of this cave, dating back almost twice that age. Grinding stones that fit within grooves and could have been used to make these carvings were found near the bottom of the excavations. These grinding stones and the very distinct types of tools from these Middle Stone Age layers can be directly compared to the nearby well excavated site of #Gi, that has a TL (thermoluminescent) determination of 77 000 years. They indeed look exciting and it would be interesting to read some excavation report on any of them with datings and similar. If they were cattle craals they could not be extremely old since the arrival of cattle to this part of Africa would set a time limit. But if they were occupational areas they could be older. Only proper investigations can give the answer. Yes. It seems the sites are for real but the time scale isn't. More likely is that those structures are contemporary with Zimbabwe, Eredo or other buildings of SS Africa. Each reader’s tolerance of far-out rantings will determine their level of enjoyment. At times entertaining due to its sheer over-the-top oddness, Slave Species is also opinionated, repetitive, rarely referenced, and full of unreadable lists, quizzes and charts. It’s fascinating to view religion, economics, history and biology through the lens of alien engineering, but this worldview allows us to blame all our shortcomings on faulty alien design. It becomes conspiracy theory distilled to a highly potent universal level. The man is a musician with no knowledge whatsoever of history, science or even phenomenology! The funny part is this bit of froo-froo being introduced as a point for serious discussion! And I fall into the trap this time. What a shame. Its not a mystery that Tellinger's books are wild and too inappropiately constructed, but however his website does show very interesting arieal pictures that can be conclusive for being man made. I really careless about the ancient astronomical structure, I already stated that really is a flimsy construct and hold s no seriousness to the obeservance. I am talking about the circular stone structures , how do you explain the formation of that. We are debating whether the sites such as the encirclement campings and other findings can be called authentic. We are also trying to figure out what date and time are these abandoned settlements relevant to which period or are these just "mother nature's" wonderous blunders,that take the form of man made structures. I really gave no claim as proof to Micheal Tellinger's book, the site was founded and excavated by Johaine Hein Stone. Another astronomer Bill Holenbach, an astronomer also found the sites interesting,but that's here nor there as we really don't need to link it with the astronomy. No if you read Carcharadon's article which says that the Blombas Cave Carvings have 300 to 400 indications of human molding and crafting, which goes back 40,000 to 70,000 years ago. So its not impossible that dwellers in this region of Southern Africa have knowledge of stone crafting,with the obvious finding of stone tools. The Johan Heine Stone Calendar (affectionately called Adamâ€™s Calendar) has been dated by astronomer Bill Hollenbach to be around 75,000 years, based on the movement of the peoples in southern Africa and the emergence of rock art during that period. But it could in fact be even older â€“ dating back to the dawn of Homo sapiens some 250,000 years ago. I see you choose to fire rant as soon as you get back from your heart attack vacation old man. Whats funny is that you gave no assertion as to why the sites were hoaxes or not. Now if you are to prove their hoaxes that is fine,but do tell why. Now in the next above comment he already suggested that the sites may look real but the dating is false, there can be one person that agrees that these are settlements of some kind. Can you name what are the sites origins, I think not you have no knowledge of expertise in this area. It seems Michael Tellinger's exploitation of this archeological find gives this site bad press . Whether or not these sites in Makomati are Pre Historic or date back to the time of the Common Era,there must certainly be proper excavating in this area. The sites discovery,excavation,and exposure is not totally due to Michael Tellinger, the site was founded by Johan Heine. Michael Tellinger just chose to write a book about Johan Heine's discovery which is giving Adam's Calender and all of its counterpart discoveries in the vicinity bad press. Tellinger is not synonymous with Adams Calender,so get your facts in order. Yes, if serious research regarding different ancient monuments should halt just because some of all these proponents of alien visitors took an interest in them, then noone could research the pyramids of Egypt, or the Inca ruins or the Maya pyramids either, since Daniken and others like him have proposed a lot of strange theories about these as well. It is better to find out what these ruins really are and to conduct serious research about them with surveys, excavations, datings and analyzes. Look, the remnants of stone "kraals" throughout the Central Plateau of the Zambezi valley are hardly a novelty and serious scholars have long approached the subject. In fact, much of the nonsense raised over these structures have rather dark ulterior motives akin to the earlier assignations over Great Zimbabwe! At least read responsible material...references are as easy to find as the crap thrust forth as "competent study" by the Internet Iliterati . See, even the press gets it right! Well its nice that there are surveys and investigations of stone structures in South Africa, but as you said its hardly a totally new research. But the more investigations and surveys the more complete will be the picture of the archaeological remnants of this country. Studies about the continuity of building plans from smaller structures up to structures the size of Mapungubwe and similar are very valuable. The surveys and excavations in South Africa have not been sincerely extensive and properly orchestrated despite what anyone claims. Drgonzaga, there are over 30,000 of reported "Stone Walls" that have not gone professionally attended and observed by archeologist. Many wealthy landowners of South Africa have some of these stone walls right backyard, and they still haven't been properly attended to. Once again you have given a reference that is an example of fallacy in your sources and is a another repeat in your series of your own "cliff diving with a parachute" spectacles of debating. Your own reference says it itself. or actual wall built by pre existing San people who occupied the area. The circular walls settlements are not fancy Kraals. Some critics have made skeptic remarks without taking professional investigation into these discoveries.It is true Bantu tribes did occupy some of these circular settlements reminiscent a but only after the Bantu first encountered these already established settlements. You don't think I already saw the explanations for these sights as being Kraals,remnants of the Shona Empire , or being King Solomon's lost Gold Mines. Let this be known that the "Stone Kraals" of the Bantu Tribes look very different from that of the Encirclements. This image has been resized. Click this bar to view the full image. The original image is sized 640x511. This image has been resized. Click this bar to view the full image. The original image is sized 513x410. This image has been resized. Click this bar to view the full image. The original image is sized 640x502. This image has been resized. Click this bar to view the full image. The original image is sized 640x501. Anthropologists claim that the influx of Bantu settlers from the north happened in very small groups, the largest being no more that 300 people. At the time of the South African War (Boer War) there were no more than 800 black settlers from north and east Africa who over time became known by the names we call them today. And yet there are thousands of ruins dating back thousands of years suggesting there must have been a population of between 200,000 and 600,000 people living here long before we previously imagined. There is a an interview with Michale Tellinger and unfortunately we have not been able to find any total testimonys from archeologist such as Richard Wade. Michael Telliger even states that helped determined the sites by alien rocks(lets hope he means "regionally alien"). But according to him the dated it back by erosion. Dolerite erodes very slowly and the erosion patterns on most monoliths indicate that they were brought there a long, long time ago. We have gathered artifacts from the same site that date back from 300,000 yrs and 600 years. This points to a very long occupation of these sites. These sites allegedly range from different periods of time, but I wonder why there hasn't been any datings of walls found in somones own backyard. I agree that 75,000 years is way extreme but there stiill isn't proper excavations. Guess subordinate conditional phrases give some plenty of trouble. CARRION, J.S., SCOTT, L., HUFFMAN, T. & DREYER, C. (2000). "Pollen analysis of Iron Age cow dung in southern Africa". Vegetation History and Archaeobotany 9:239-249 . "At the time of the South African War (Boer War) there were no more than 800 black settlers from north and east Africa who over time became known by the names we call them today..."
Talk about leaping out of an airplane without a parachute! Interesting about the stone structures is among other things their chronology, continuity and architectural development. The shapes of the structures are interesting since some of them seem to resemble the big monuments of southern Africa in their style, just in a smaller scale. 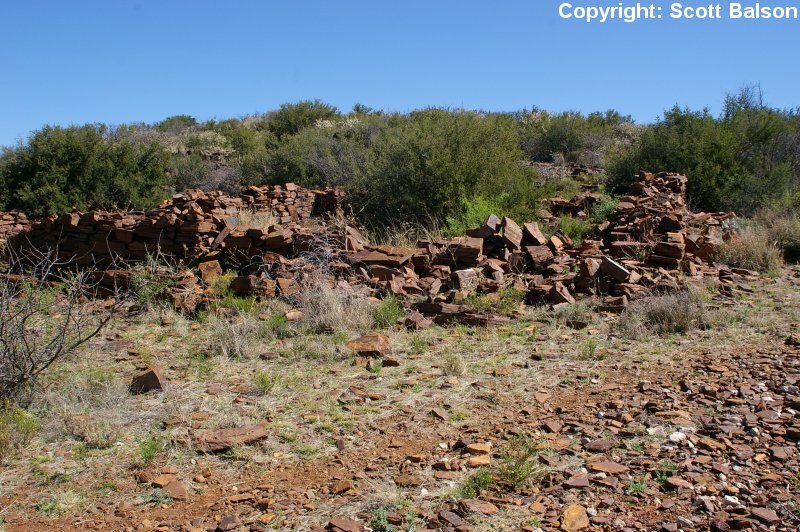 It seems that some of these structures are dated to around 1400 years BP, it would mean that they predate sites as Mapungubwe and Great Zimbabwe. To get a grip of the development and distribution of these monuments is of course very valuable. Well, this thread will most certainly not contribute anything furthering that supposition, given that there is even difficulty with correct spelling! Adam's Calender (sic)? That's what you call clarification? It must be certain that you truly like to twist and dilute articles for your own objectives, It was you who decided to give the newspaper source not me.If your mad that you have put your foot in your own mouth due to your own mishaps,hey that is not my fault. It clearly states that the Vrystaat has not visited all the sites and is fully aware of more sites that are to be investigated but refuse to go on any further, due to lack of initiative on their part. So you can deduce that the Vrystaat does not know it all because it has not done meticulous research. Archaeobotanists have done extensive research on cow dung in Iron Age South Africa taken from these stone kraal [which cover large areas of Southern Africa as distinct from RSA] and the venture into photography hardly qualifies as "evidence" of what Bantu's were up to in the 11th century. The only cow dung examined is the diverted impervious nonsense you typed in this thread. What does that have to do with anything. Anyway it is true the Bantu did start their migration from modern day Congo region near Cameroon and have traveled towards the south going through parts of Zambia,Namibia,etc during 3000 BC to 1500 AD. The "so called kraals" of Mpumalanga have earlier datings before the Bantu arrived. And it is true that the Bantu arrived in South Africa before the 1600's,but they did not build the settlements the encroachment circles,which by the way the last ones date to 1100AD. I did say they Bantu did reoccupy some of these already built so called kraals,which they would also depart from later on. The Dutch and Portuguese who arrive during 1648 brazenly engaged into incursions with the San. Duh, and is the dominant language in the region today which means it would have to disseminate amongst the other tribes in order to become their adopted language. But once and for all not all these settlement are "Stone Kraals", you can tell and see they were each built very different. Listen , where and when did I say in the article that the Bantu tribes didn't occupy settlements that big during the Boers wars. The Bantu just weren't that rampant during the Boers Wars .The Cape of South Africa was mainly occupied KhoiKhois and the San(the San would retreat to the Nambian Desert later on). The Dutch Afrikaneers and Europeans before them (during the time of 1600s & 1700s) mainly fought against the KhoiKhois to seek dominant control in the region. It is true that they were in fact tribes like the Zulu and Xhosa close to South AFrica,but they didn't occupy the middle regions and interior of what is today South Africa,plus they were in small numbers. Many tribes such as the Nguni and Sotho occupy the region also have remigrated back to the Zambezi rivers after defeat amongst other rival tribes. This would of reduced the population. My god they way you give false accounts is just truly amazing. Notice the occupation of the Xhosa and Zulu tribes territory are mainly in the North Eastern coast and are not in the interior where Mpumalanga (dubbed the Makomati),constituting all the sites for the Encirclement Structures for what some like you would call" Kraals", were settled in. Many Bantu Tribes did not live that far in the interior of South Africa to let alone build these sites. The Basotho are a group of people from a cluster of tribes united under King Moshoeshoe I (Moo shway shway) during the early 1800’s. Moving south from the Transvaal region of South Africa, they settled in the Orange Free State and on into the mountainous area now known as The Kingdom of Lesotho. Lesotho, with an area of 11,720 square miles, is completely surrounded by the Republic of South Africa. 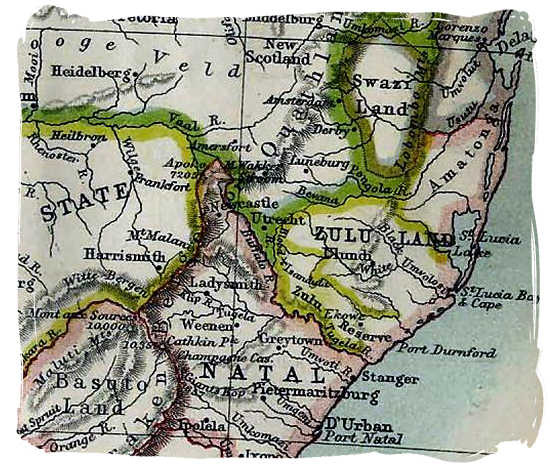 Notice the were the Cape Province lies there is not a large concentration of Bantu tribes in the Cape Province during the Boer Wars of so how could the Bantu tribes build a whole lot of those Encirclement Structures during the 1100AD. Nice try Uncle Scrooge , but its too late, I have already proven your points to be absurd and remarkably symptoms of jealousy .You have repeatedly littered threads with you dash of critque due to your insatiable craving for a supremacy verdict to all topics of discussion. I believe that the nurses should keep you away from the computer in your "Retirement Home". What brings you to that conclusion? If you may ,can you give your opinion as to why these sights predecessors of Mapungubwe? As for "jealousy" you are definitely delusional...almost Cyruslike! Guys, could we please try to be a bit more civil? Well, that was something I read. I have not been involved in archaeological work in this area myself. In the book I read they said that some of the stone kraals could be dated back to 1400 BP (it would be around the 7th century AD). But I do not know if this dating is correct or if it is the oldest. But if it is true, some of them predate Mapungubwe (11th to 13th century) and Great Zimbabwe (where the occupation accosiated to the stone walls is dated to 11th to 15th century). And since one can see some similarities between the layout and shape of the stone Kraals and the layout of the larger stone monuments I just laborated with the idea that there can have been some influence. And after what I understand there are researchers that actually think so. (At least I see this idea as more plausible than many ideas of foreign, overseas, influence on Mapungubwe and Zimbabwe and similar monuments in south Africa and Zimbabwe).